Step right into easygoing sporty style and amazing comfort with the SKECHERS Equalizer - Coast to Coast shoe. 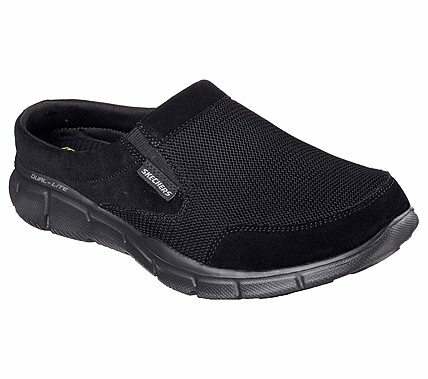 Smooth soft suede and mesh fabric upper in a slip on low backed sporty comfort sneaker clog with stitching and overlay accents. Memory Foam insole.